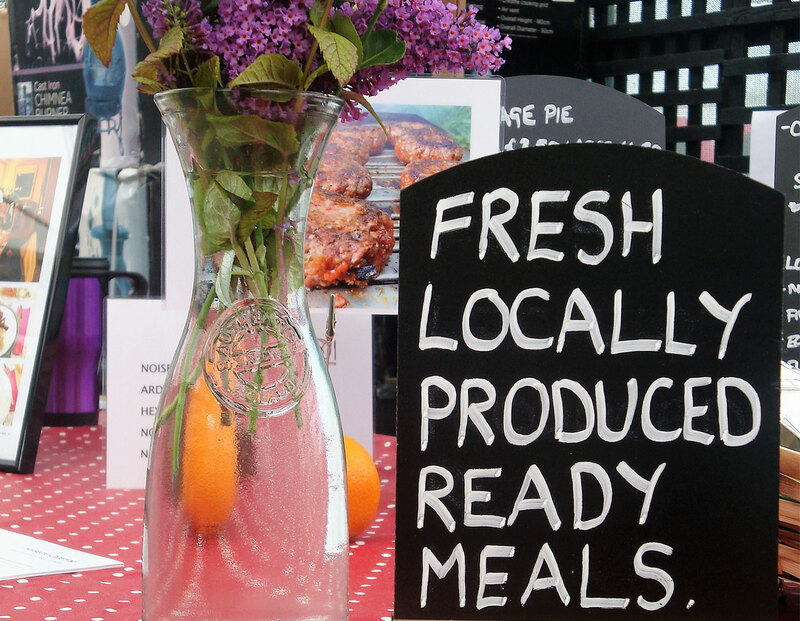 “Simply Homemade” Ready Meals are now being sold at Hexham Farmers’ Market. Individual orders and deliveries also possible. Please contact us for further details. With a background in hospitality and event management, combined with a passion for all things food, I headed for France and the Alps to escape the London rat race and concentrate on being creative in the kitchen. And thus, Noisette Catering was born. 20 years later, I returned home to Northumberland to progress and grow a thriving business. I am passionate about the amazing local food sources on my doorstep and am loving being able to use these ingredients to create fantastic dishes. 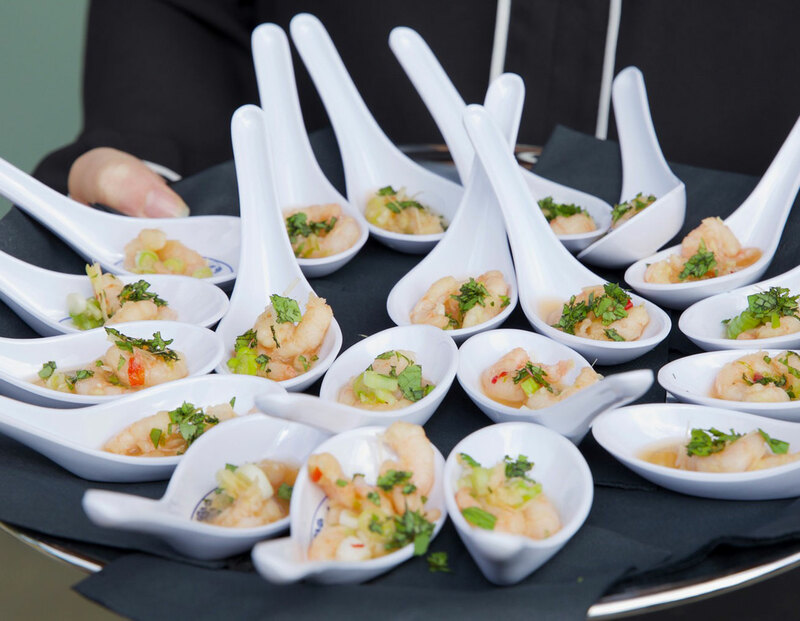 Harnessing my love of food, and the fun that can be had in the kitchen, I work hard to create everything from canapés to cupcakes for all occasions, whether an intimate gathering or full on large festival. No request goes unanswered and special blending occurs to ensure happy people with successful menus, food and events. 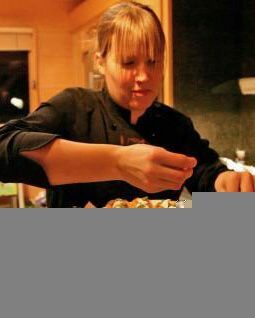 Thanks Jo, for a wonderful evening last night - your food was out of this world, and everyone loved it. We’d like to say a huge thank you to you for providing such a colourful, fragrant and tasty feast for our party. Numerous guests commented on how delicious the food was. It has been a delight to work with you - your knowledge and experience and adaptability is so helpful and you gave support and encouragement for the whole event. We had a wonderful time. Please pass on our warm thanks to your staff too. Jo provided the catering for my birthday and it was fabulous. Wonderful food, beautifully presented, with plenty to satisfy even the largest appetites! Jo arrived three hours beforehand and set everything up, and then stayed giving us time to spend with our guests. Thank you so much – so pleased you’re now back in Northumberland! The food you did for us was absolutely lovely, nothing negative to say at all apart from I ordered far too much! Thanks so very much and I'll certainly let you know if I need your help again in the future. Thank you for providing such delicious catering for our son’s Christening lunch. We really appreciated your professionalism and advice, both in the planning phase and on the day itself. The food was delicious and received many compliments from guests. We were also impressed by your ability to make everything run seamlessly – no small feat considering the number of small children involved! Thank you for making the day such a success. I just wanted to say thank you for last night. The food was amazing. The girls were raving about it this morning! Also. thank you for being so easy to deal with, you made organising the hen food so straight forward. Just want to say that we really enjoyed your meals you provided for our stay at Woodside Lodge. We made them last 3 nights and everything was great. The mustard chicken and the tartiflette were particular favourites and the white chocolate brownie yummy. Would definitely use you again when we hope to return. I just wanted to say a huge thank you to you and your whole team for the fantastic food on Saturday. We've had some very good feedback for the event and the quality of the catering and the kindness and flexibility of you and your staff was a big part of that. Thank you so much, and I'll be sure to be in touch when we have future events in the area. Would like to thank you for the wonderful job you did catering our wedding. You were very efficient and discreet and left the kitchen even tidier than we left it for you. Your food was excellent and we were able to sit back and enjoy the day while you did all the work. Well done and thank you again. A big thank you from the guys for feeding them all week. The food really was amazing, some of the best I’ve ever eaten on a ski holiday, if not ever. I can’t recommend you highly enough. I just wanted to say a huge thank you for last weekend. The food was fantastic and I have had nothing but compliments this week. Your competence and confidence made the whole thing very easy for us and we couldn't have asked for more. I would have no hesitation in recommending you and all your team. Jo cooked us a delicious dinner on Valentine’s Day 2013. It was like having a restaurant brought to your home. Thanks so much, Jo!!! We look forward to our next meal cooked by you when we visit Chamonix again. Noisette Catering provided wonderful food for our wedding that people are still talking about now. Jo went the extra mile and was a big help with all of the organisation, not just the catering side of things. Jo understood right away what we wanted and came up with the perfect menu for us; the food was an incredible mix of tastes from all over the world, looked amazing and just blew everyone away. We didn’t have to worry about a single thing, as everything was coordinated, both before and on the day of the wedding, making it all run perfectly. We recommend Noisette Catering whole-heartedly and are very much looking forward to our next big event, just so we can enjoy Jo’s fabulous creations again! Noisette Catering catered my 40th birthday party in Chamonix. Jo was extremely helpful in making menu suggestions during the planning phase and ultimately produced a menu that was both appropriate for the occasion and delicious in the consumption. The food was equally well prepared, cooked and presented and had the guests asking how to try to reproduce the flavours. Top notch food and organisation and I would not hesitate in recommending Noisette for any occasion. Jo did the catering for our wedding reception in Hexham Abbey last September. But with Jo it isn't just about the catering - she advised on the table settings and helped to set it all out on the day. It all looked wonderful. The hot buffet was perfect - a good mix of dishes that our friends and family are still talking about. Beautifully presented and with first-class staff on the day. 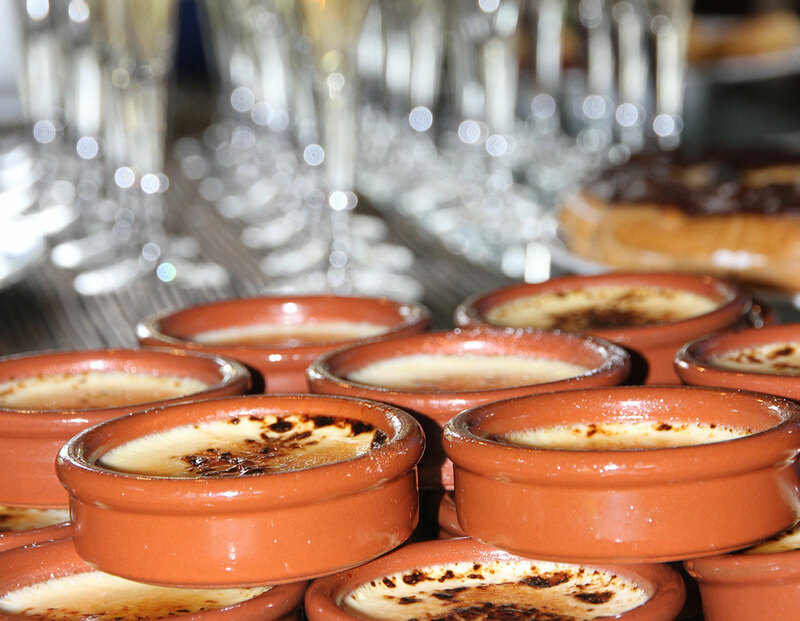 We can highly recommend Noisette Catering for any occasion. Very many thanks for doing an excellent job for us on Sunday, it was a great success. Will be in touch next time! Jo’s food both looked and tasted fantastic. It made my party special and I’d unreservedly recommend her catering for any important occasion.